CONGRATULATION to my dear friend. Nur Farhana Che Saat for your engagement. I feel happy for you. 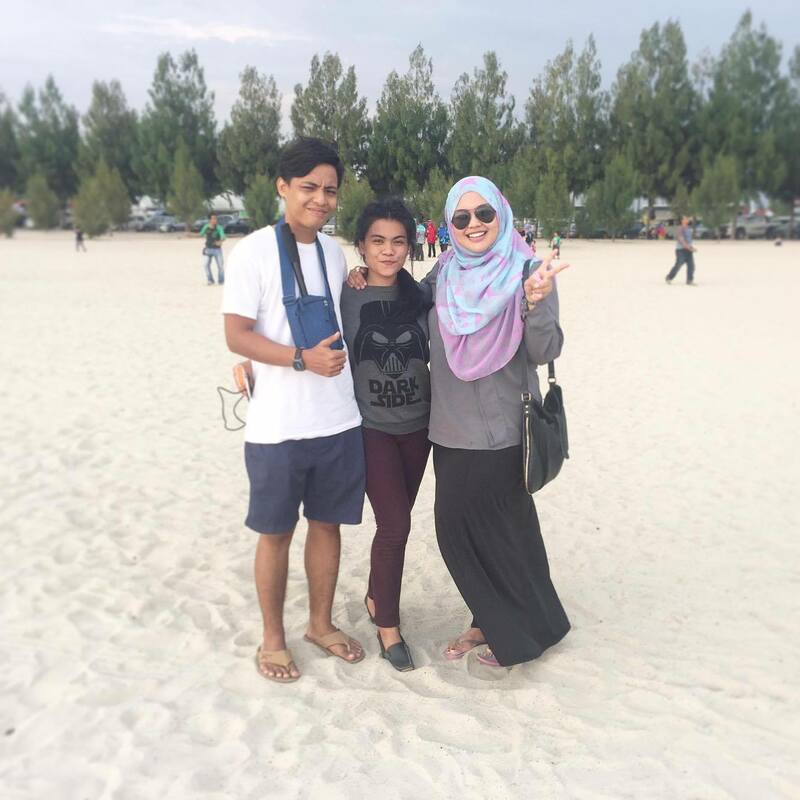 I went to her engagement day on 15/11/15 (nice date by the way) at Pantai Dalam. Thanks Fana for inviting me and assume me as a Must Guest. 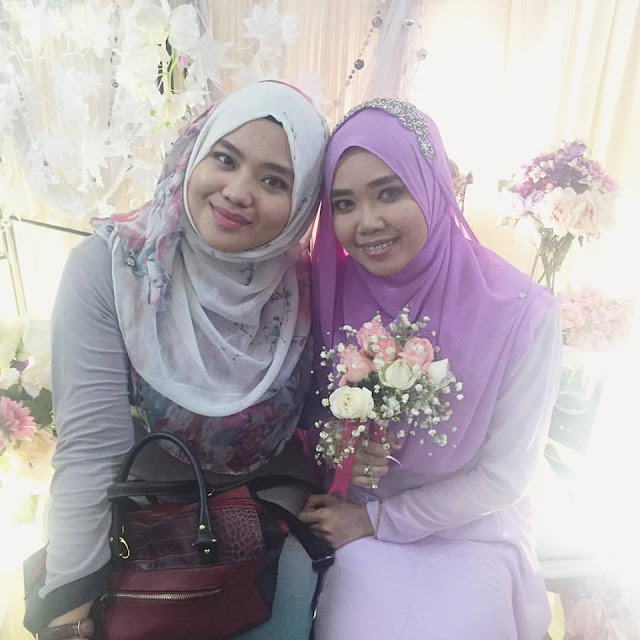 Hihihii.. Well, I pun traveled la from Melaka that weekend balik KL to attend her engagement. I know her from blogging world. 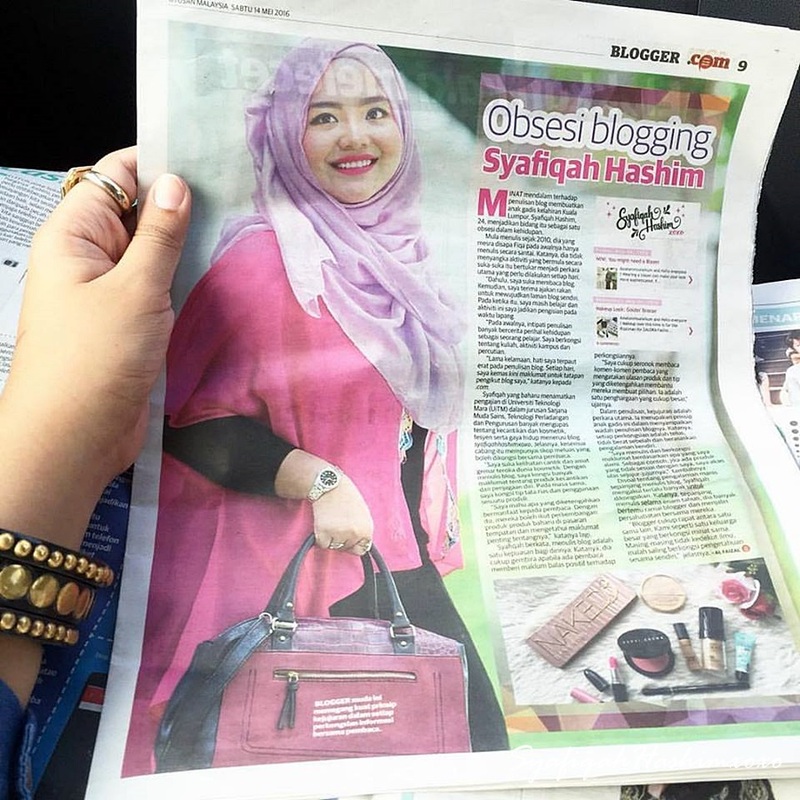 We share a lot of thing together especially in blogging. She is really nice in person. Kind-heart la senangg cite. Most important is penyabar! I really happy knowing her as my friend. 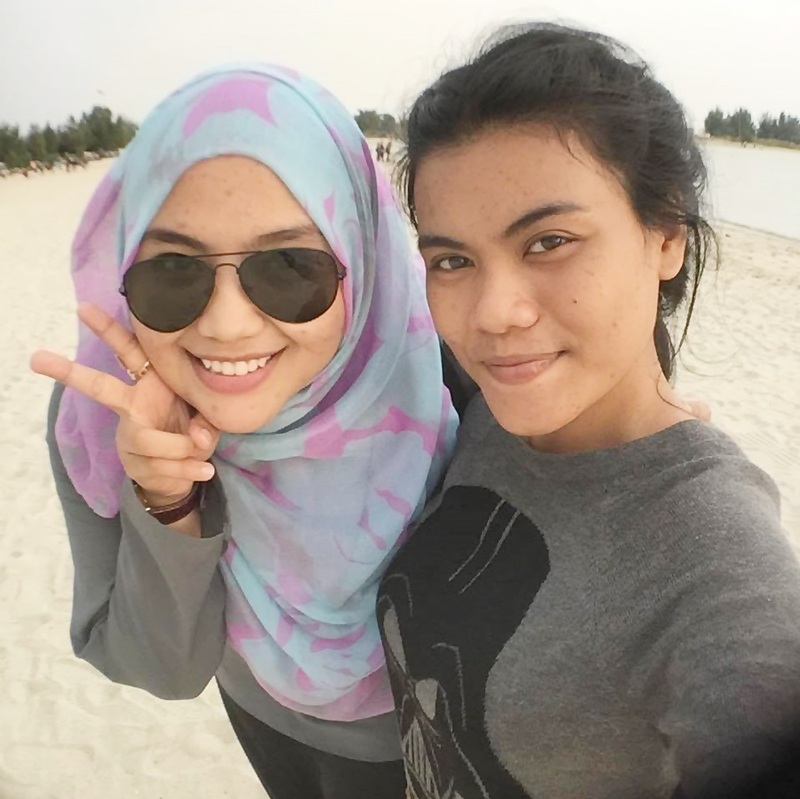 Sayang Fana! Next time let's go for Sushi Date yahh! I hope everything will be easy and smooth as for the BIG day nanti. 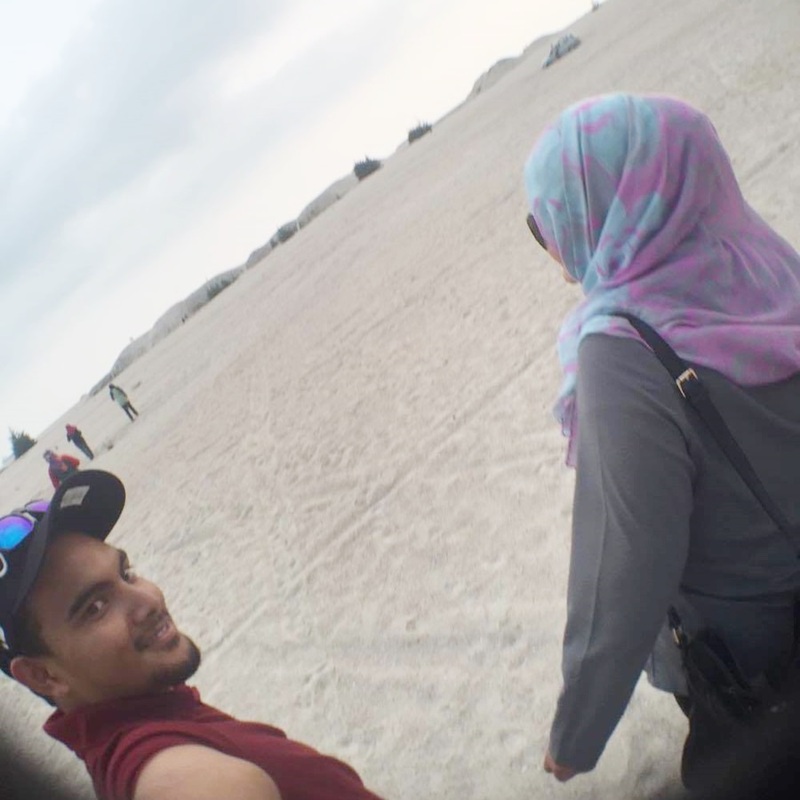 May you and your partner (Syafiq) happy. Congratulation! Feel Happy for both of you! By the way, don't forget to check her instagram @fanabakes . She bakes! YEAYY.. I've tried her brownies and now I'm craving for it. SEDAPPP Sangat. Nanti nak order lahh. 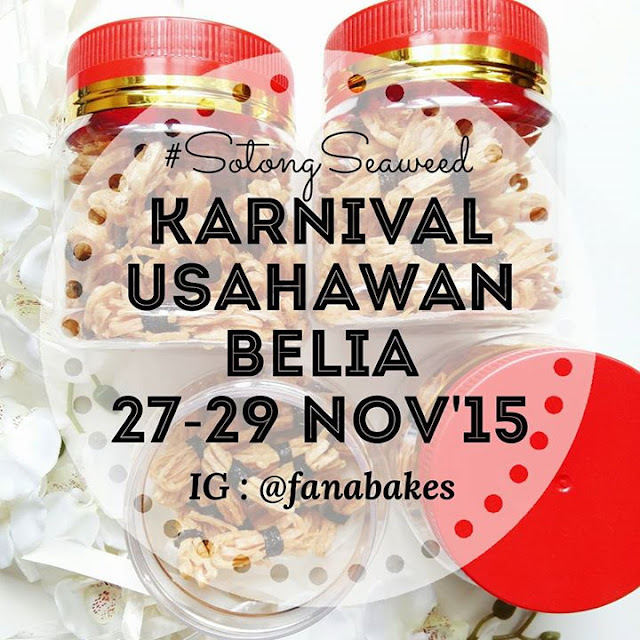 She will open booth at Karnival Usahawan Belia this weekend. For those who near by don't forget to visit her booth and try a lot of delicious dessert.! for more information, Follow her Instagram and keep updating with her. Goodluck for you my dear friend. MUAHH! And it Thursday! weekend is around the corner. This weekend my friends and I planning for some short getaway. I really need it because I've been busy with my FYP work. And more assignments and tests coming up after this. My skin starts to breakouts again! MENNN! I cannot stressed sikit. Hahahaa.. By the way, before I keep writing something out of topic here. I just want to share my outfit post. 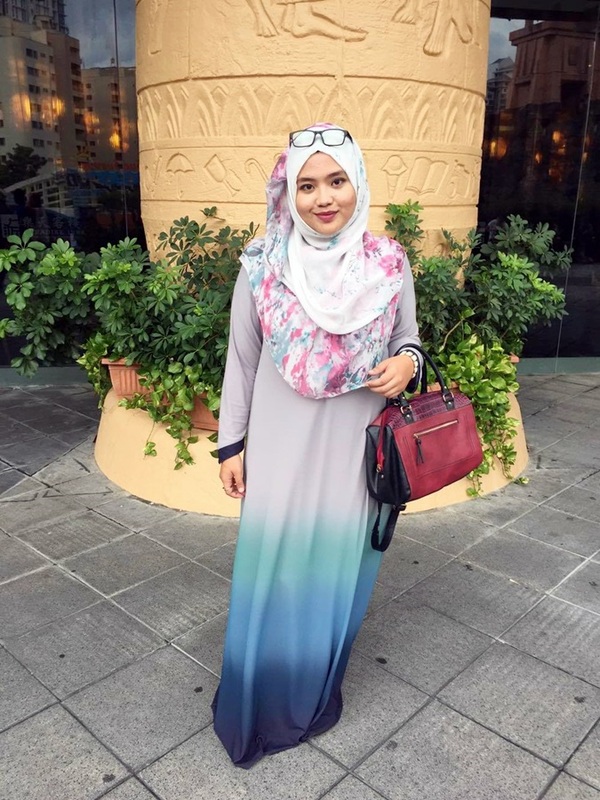 I fall in love with this Ombre Jubah from Calaqisya. The design is so beautiful. But the material kinda "stick" to the body-line so be sure to wear full inner wear. I match with the scarf that I bought from Brands Outlets. If you looking for good wide scarf go to Brands Outlets or Vincci Accessories. 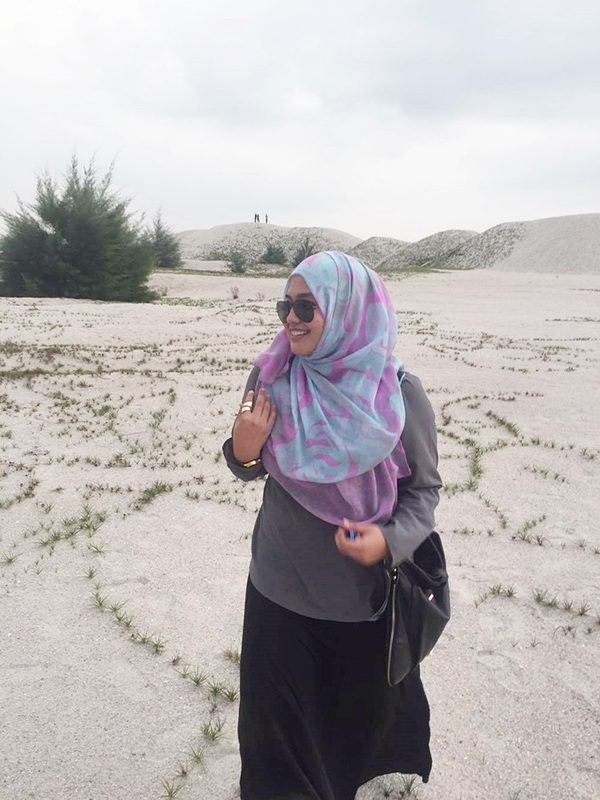 Since now Chiffon Shawl take in the market so the price range form Cotton wide shawl is much cheaper! Me LIKE IT!! Hehee.. Because I'm not really good to wear chiffon shawl as my daily wearing. 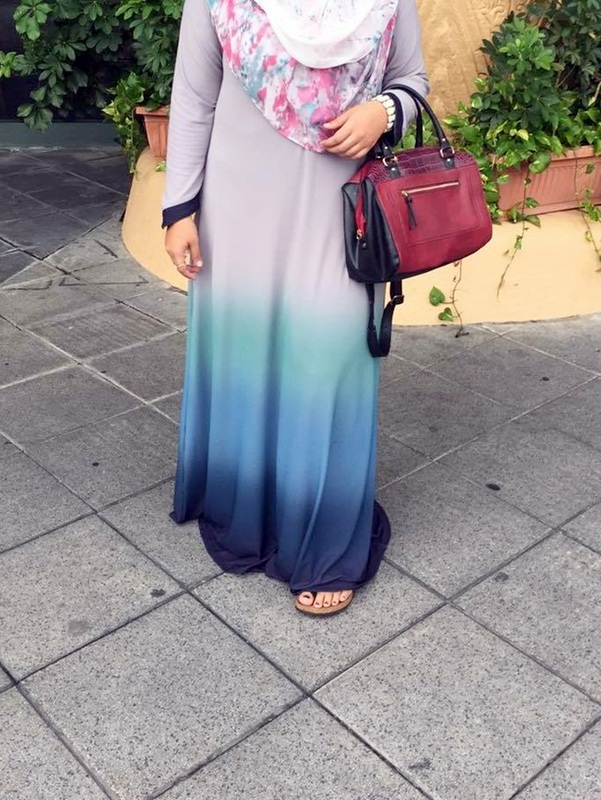 What do you think of this Jubah design ? Hehee..I like the combination of the color blue and grey. You can find more beautiful color at Calaqisya. The price is RM189. If they having sales, you can get much cheaper. I was introduced to IDO'S Clinic on September and I was so excited to try out their services. Well, this is my very first time dealing with Aesthetics and I'm super nervous but I handle with care because I believed that IDO'S will provide great service to me. Eheee.. If you've been following my journey.. (Hahhaa..Over je journey) you will know that I've been fighting with breakouts like almost a year and half. Frustrating weyhhhhhh! Hahhaa.. So I hope with IDO's Clinic service this will help me to improve my skin even better. Let me brief a little bit about IDO'S Clinic. IDO'S Clinic is a comprehensive chain of skin. laser, and aesthetic clinics focusing on evidence-based, state of the art lasers and aesthetic innovations to restore and enhance your skin, face and body. IDO's Clinic is where beauty, art and medicine become one. So I decide on 25th September 2015 I set an appointment with them at IDO'S Clinic Puchong SetiaWalk and meet the doctor at IDO'S Clinic. OMG! Dr.Phong is super friendly..
Get some consultation from Dr.Phong. She is so friendly in the way that I can speaking with her so comfortably and calm. No awkwardness. During consultation she ask about my routine, supplement intake, skincare product I used, my diet routine and more. Rather then just asking she also give me some tips and advice for me. I learn a lot during this session. How to take care our skin in the correct way and type of acne. To be honest I've been blamming and claim that I got acne scar on my face. Turns-out that is not acne scar. Hahahaa.. LOL pika! My problem is dark spot from pimples not acne scar. Acne scar is different than dark spot. I was so blurry and laughing myself thinking I've been suffering from acne scar. Hahahhaaa.. See! New knowledge I gained... They treatment Dr.Phong suggest to me is Carbon Peel Laser.. Wahhhh.. Dengar je laser dah gugur jap jantung. Kekekekeee.. Since this is my first time so I'm quite nervous at first place but Dr.Phong give me the courage to try and fight the nervous. Heheee..
What is Carbon Peel Laser? Carbon Peel Laser - Laser beam is focused on skin that has been covered by a think layer of carbon of micro to nano size. Skin pores are simultaneously minimized, the growth of connective tissue increase while the carbon particles exfoliate the skin and purge skin pores. This treatment can help by an instant brightening you skin immediately after 1st treatment. Your skin shall feel renewed, soft and smooth. There will be marked reduction of open pores, oil production and improvement of blemishes. Which is suitable for my skin problem! Eheheee..
First they will cleansing our face from any makeup and impurities. Then they will apply a thin layer of carbon solution on our face. When the laser beam hits on the carbon on your face, you will hear loud snapping sound as well as noise from the suctioning machine. When the process running you should remain calm and ensure control your hand posture well so it won't moving to your face area during this time. Based on my personal opinion it is a bit painful at the beginning by the time it hits the area it feels like "fire" on my skin but I'm safe tho! Hahahaa.. My advice just don't be so scare laa.. After this treatment make sure avoid from direct sunlight activity. Every time going out during day time apply sunblock to protect your skin. I hope my experience and explanation will help you to understand more about Carbon Peel Laser and how it functioning. If you have nice skin please take care of it okay. If you like to get some treatment form IDO'S Clinic as well. Here I got FREE RM100 treatment voucher for you. Just simply fill in the form HERE and enjoy RM100 discounts for your treatment. SO LUCKY!! Hurry Up and Grab this chance dearies! 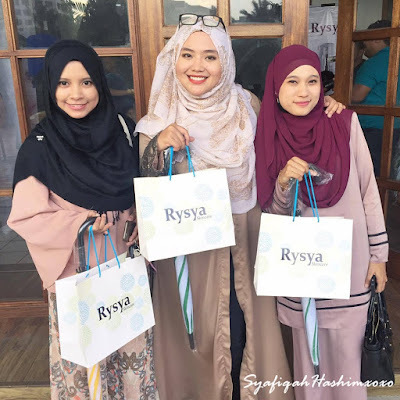 Last Saturday (14 NOV 2015), I attend Rysya Skincare event. After I've been busy with my study life let me just give myself a break and attend an event and meet some of my blogger friends. 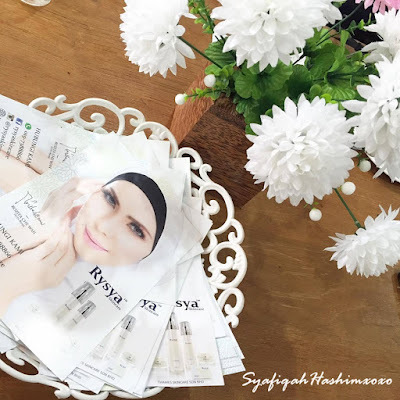 Rysya Skincare based from Malaysia and created by our Malaysian. Feeling Proud to it! Hehee.. Commitment is important to get healthy skin with a regular skincare regime. 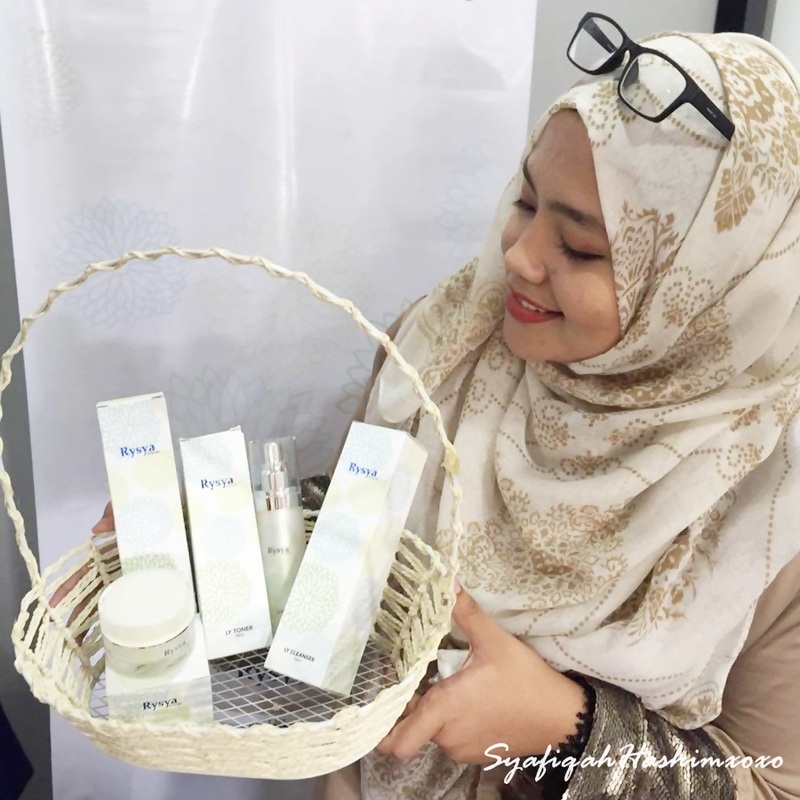 Rysya skincare specialize providing only the best products that care for your skin and the products some with great ingredients that formulated from the finest quality. Here Rozita Che Wan secret. 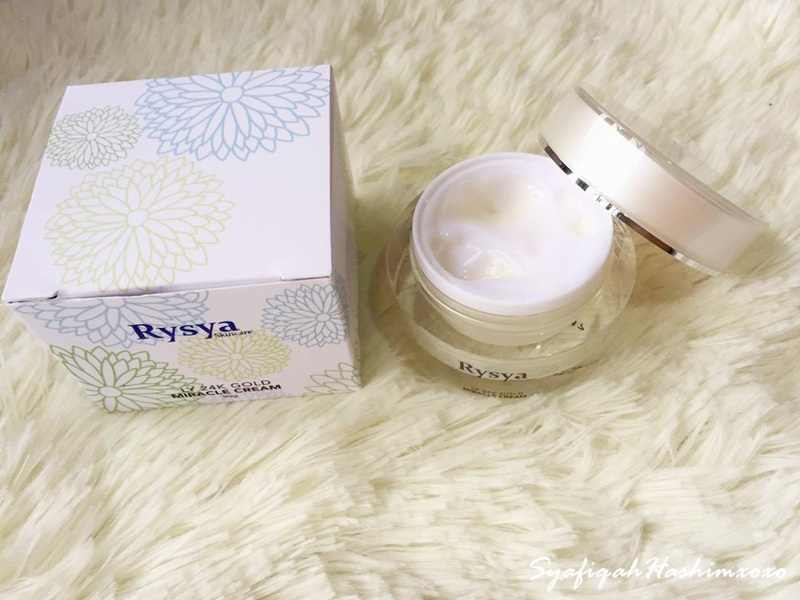 Rysya Skincare! Let me briefly explain about each product in Rysya Skincare. This soft mousse liquid based on "Mild Cleansing" components that provide excellent hygienic properties. The ingredients leave the skin soft and fresh without disturbing the skin's natural moisture barrier. It won't leave any drying effect to your skin. 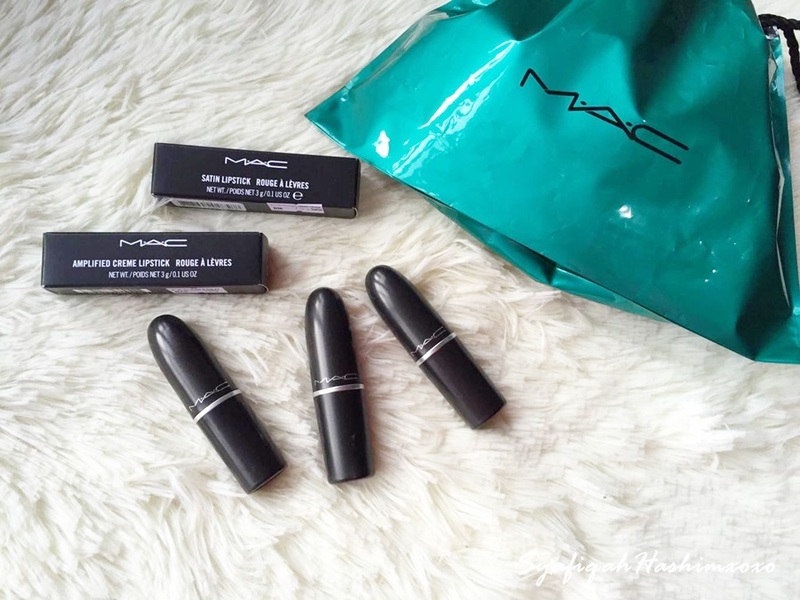 The packaging is good because it is like a "pump" so the product will not easily get infected. It designed to protects the skin, make it more soft and smooth after cleansing.Tightens the skin and pores makeing it look radiant. Keep skin hydrated and preserved skin from being dry. 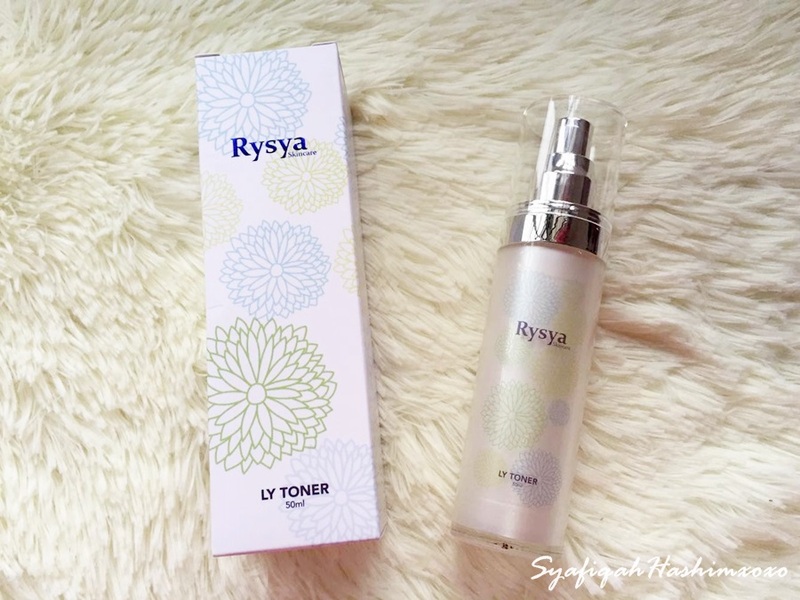 This toner suitable for sensitive and all skin type. The packaging is in spraying type. Just simply spayed on your cleam palm and "padding" on your face slowly. Toner is important as to get your skin pH balance. This what make Rysya Skincare different from any others skincare in the markets. The Serum contain 24K Gold in it. It help to deliver greater concentration and can penetrate deeper in the skin. Naturally fight the signs of ageing and keep your skin hydrated. This also make your skin much brightening and nourishment. Help to strengthen the skin and prevent from acne as well. It looks like in a gel formulation. This cram also contain 24K gold. Yumm. Hehee.. It help to keep your skin firm and smooth. Contain vitamin C that able to promote collagen activity for more youthful skin. This cream most-likely a multi-tasks where it can fightthe ageing that reduce the appearance of wrinkles. Improve skin elasticity and hydrating. The formulation is creamy yet easy to absorb. Contain 5 products that is LY Cleanser, LY Toner, 24K Gold Serum, 24K Miracle Cream and Bird Nest Body Scrub. I want to try the Bird Nest later on. Hehee..If you are looking for any product that won't cause any irritation and anti-aging. Rysya Skincare is the answer. 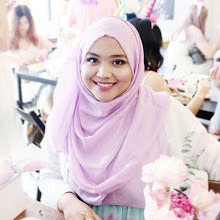 Tengok la Rozita CHe Wan cantik macam mana kan! 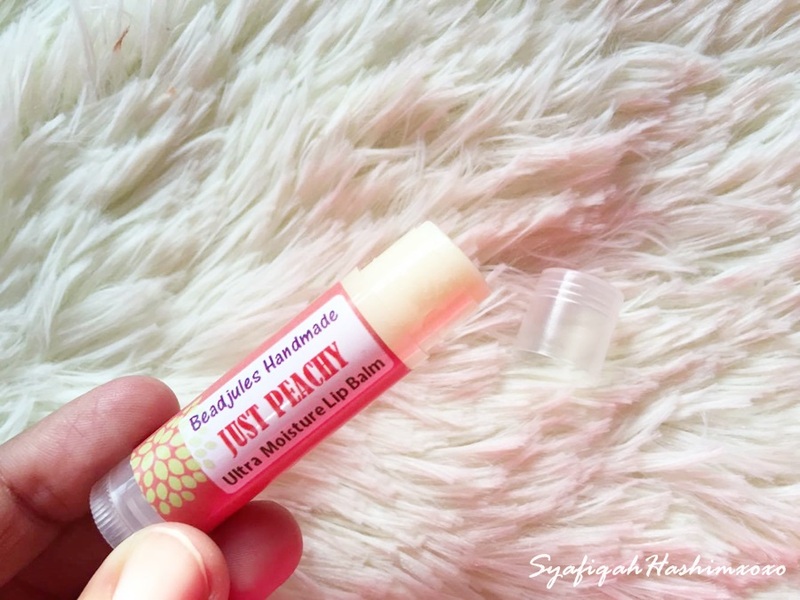 Overall, I like the product, It smell nice and smooth to skin. Last 2 weeks ago I went to Klebang. My cousin who just married are here at Melaka and we decided to meet up and have some chit-chat moment together. 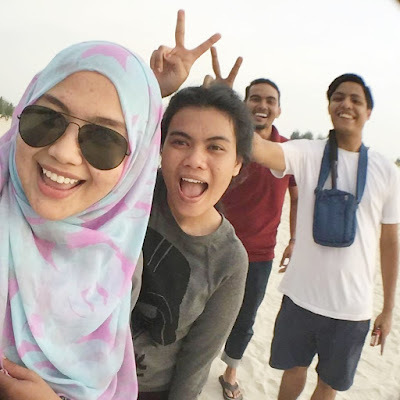 Ehehe.. Just a quick santai at the beach. Actually the correct terms is I disturbed their Honeymoon! Hehhehh.. It was good to hear a story from them. Well, at least I get something useful for myself as to plan for future right. Ehh? Hahaha..
Actually I'm kinda sad because I miss the SEPHORA Member Private Sale on 21-24 OCT. Arghh! I couldn't make it because I was at Melaka that time. Because there some products I want to purchase with 20% off is much better. But, Forget it! Hahahaa.. Here the two item I choose. No fancy makeup. hehehe... The Sephora Face KONJAC cleasing sponge and Benefit the Porefessional. No much words except love, Hehhehh.. 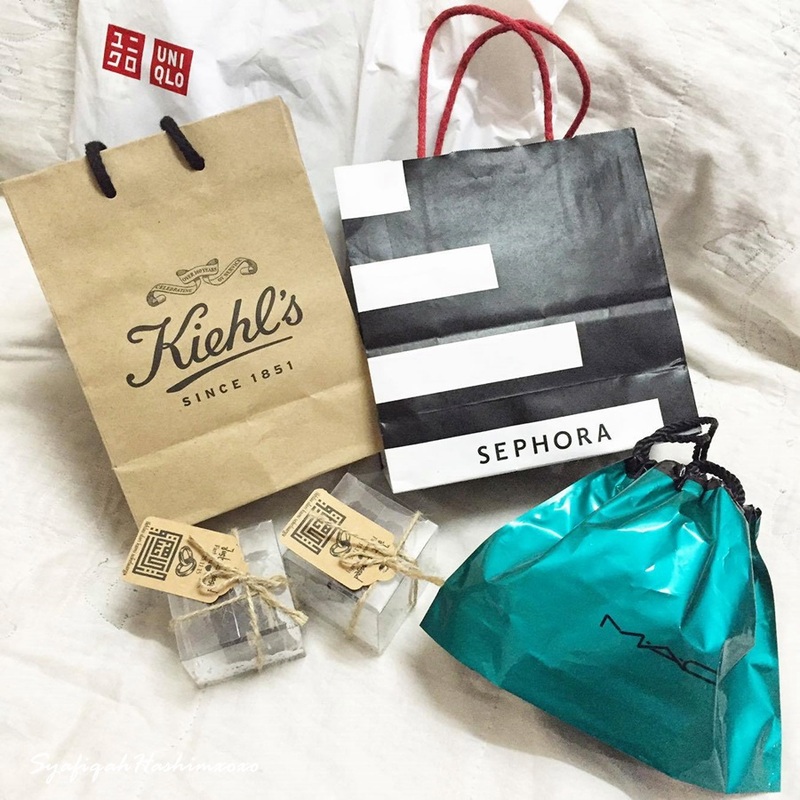 Wait for my review for each item okeh! Hehehee.. I'm currently out of stock for my previous eye cream product and still looking for eye cream that will help to improved my dark circle problem. 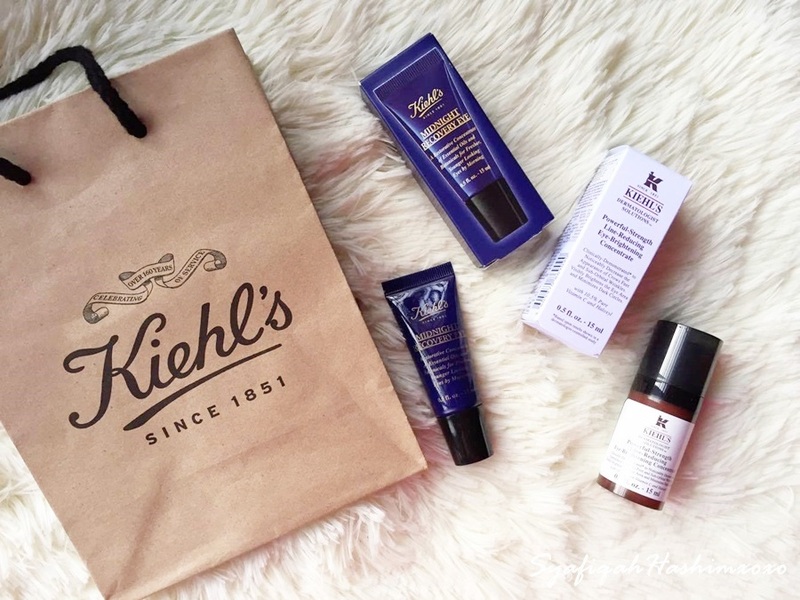 I finally decided to try out Kiehl's Midnight Recovery Eye Cream (RM166) and Kiehl's Powerful Strength Line-Reducing, Eye-Brightening Concentrate (RM177). I've heard so many good respond towards this products. Let me try it for myself. I will update more review about it either it works for me or not. I have to wait at least 3 months right. Hehehee.. Hopefully it works for me. Amiin! Hehee..
Balas dendam ke apa ni?? Hahaha..
Alamak! Kantoi pakai size godang. Hehehee.. 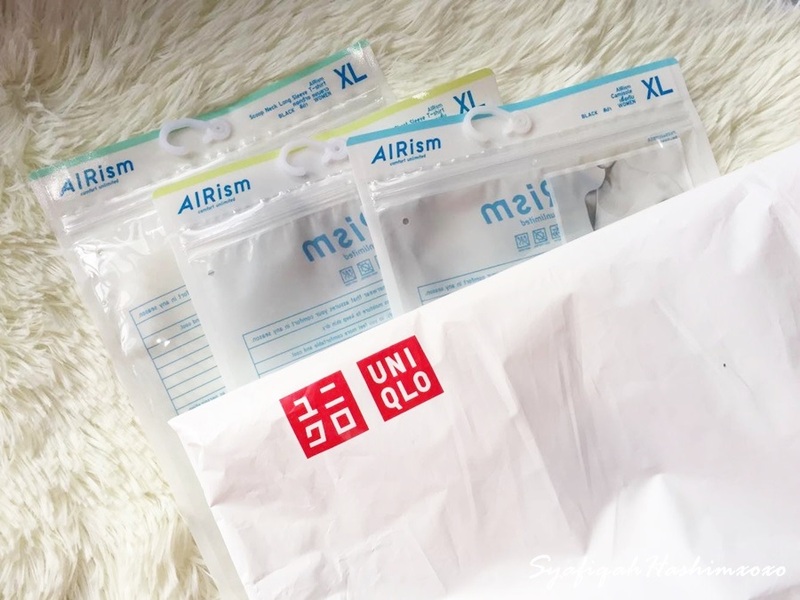 I sooo in love with Uniqlo AIRism. The most comfortable inner-wear I have tried. The first purchase I made on April I try two from their collection that is long sleeves and Short sleeves. Both in black. It is sooo comfortable and suitable with Malaysia weather. I tend to get sweating easily. Like if I walk from my house to the car I sweating already. YUP! But with this AIRism it is awesome! Make me feel comfortable all day long of wearing. I RECOMMENDED for you to try this. The best is the first purchase I made the price was RM59,90 but now Uniqlo in sale and this AIRism drop to RM29.90 only!!! OMG, Without any further thinking I just simply grab 3 it. Hehehee.. Most of the product I will make the full review. InshaaAllah.. 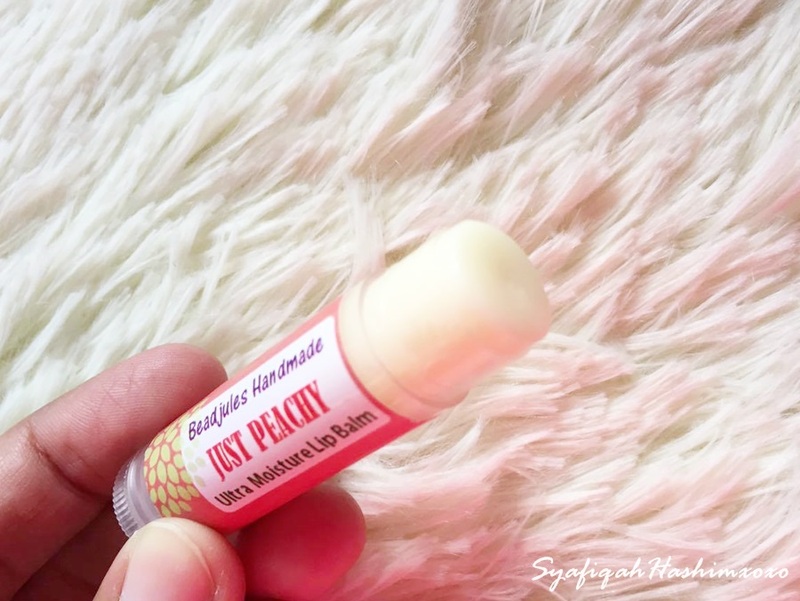 I've been using this lip balm now and love it! My lip easy to get dry ad chappy. before this I've try some of lip balm in the market but non really works for my lips. What I mean by non is the lip balm does not goes well with my lip and some worst that make my lip even feel drying. 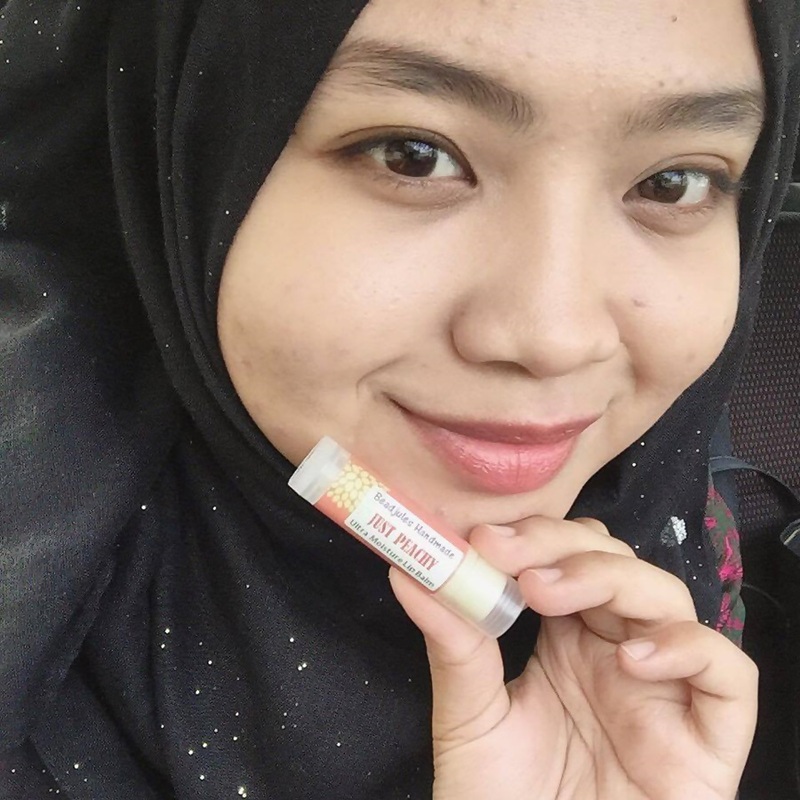 Until I got this Ultra Moisture Lip Balm by Beadjules during Market 16 at Jaya One. Basically it is a local brand from Malaysia. I try it and I find this lip balm suitable for me. It is a handmade using organic extra virgin coconut oil, sweet almond oil, avocado oil, shea butter, food-grade beewax, vitamin E and peach oil. Have peach oil because it is in Just Peachy code. 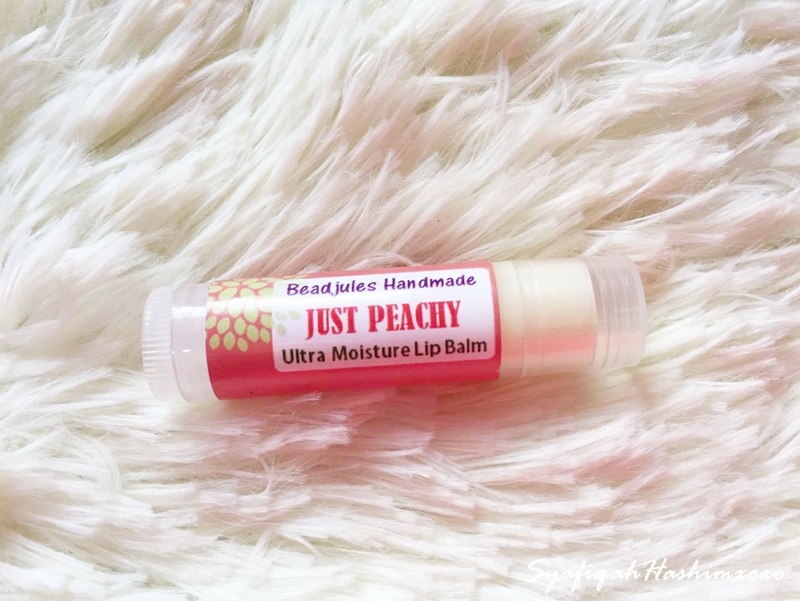 Super super love it compare to any lipbalm that selling in the market. The price is also affordable (RM12) which is good. I hope the keep maintain the same price. Hehehee.. It glides easily on my lip. The scent is more like peachy and does not have weird taste at all. I feel safe when using this because of the ingredient. So far, I think it can keep my lips moisturize for more then 4-5 hours with eating and drinking. Thumbs Up! I feel much better after I've finally found the suitable lip balm. Hee.. Also remember to drink a lot of water! This will keep you hydrated. 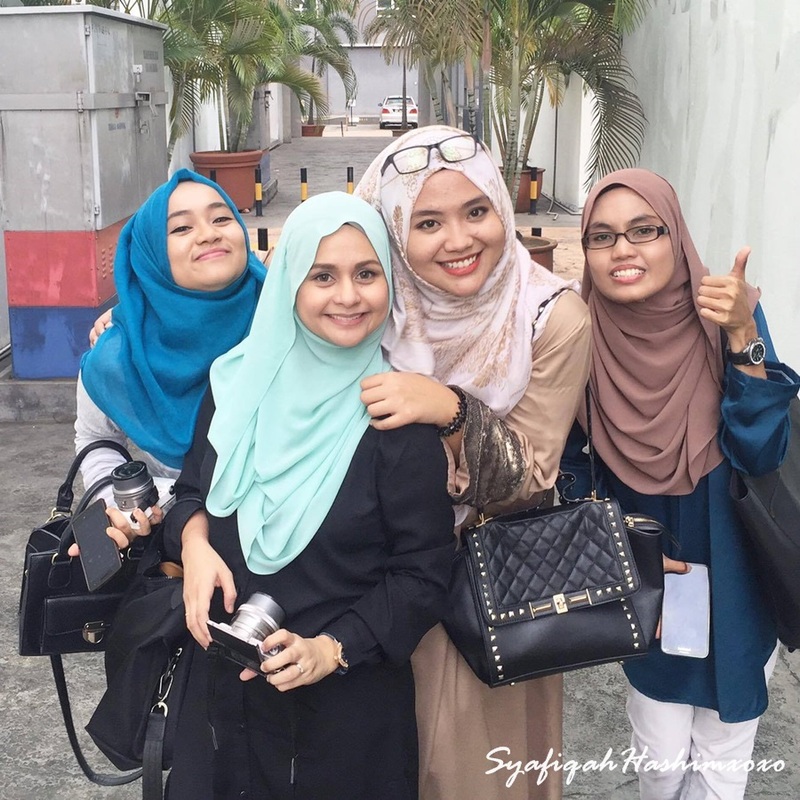 On 19 October 2015, I went to my Pre-Graduation Hi-Tea at Plaza Ramada Melaka. This Hi-Tea basically to celebrate final year student before they go for the real graduation. 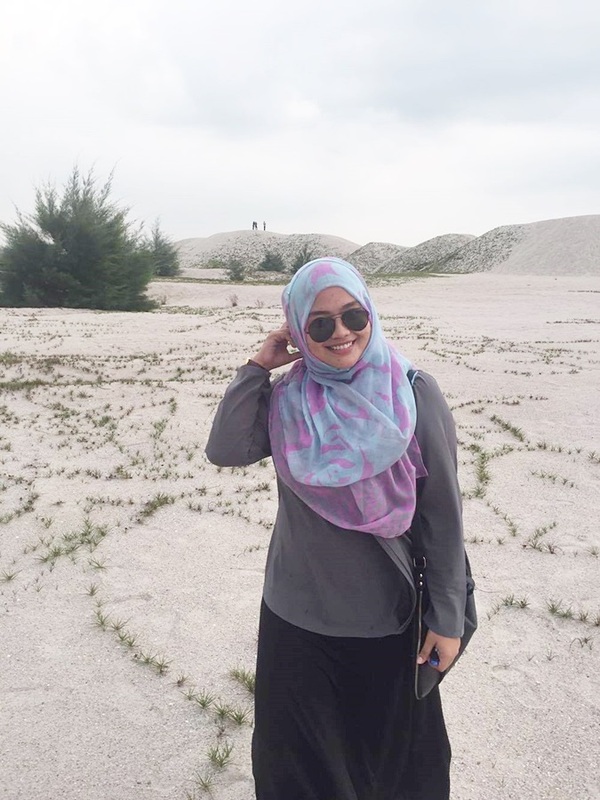 A day before that, I went for Boutique Hunting at Shah Alam and I was attracted to Minimalace Boutique. I went there and try a few of their design but some of them I could't fit to wear it. At last that attract me the most is Minimalace Daisy Kurung. The color that available for my size that time is only Cream and I love it. Daisy Kurung is crafted from Italian Pucci and Flora Satin that combine in two fresh colours. 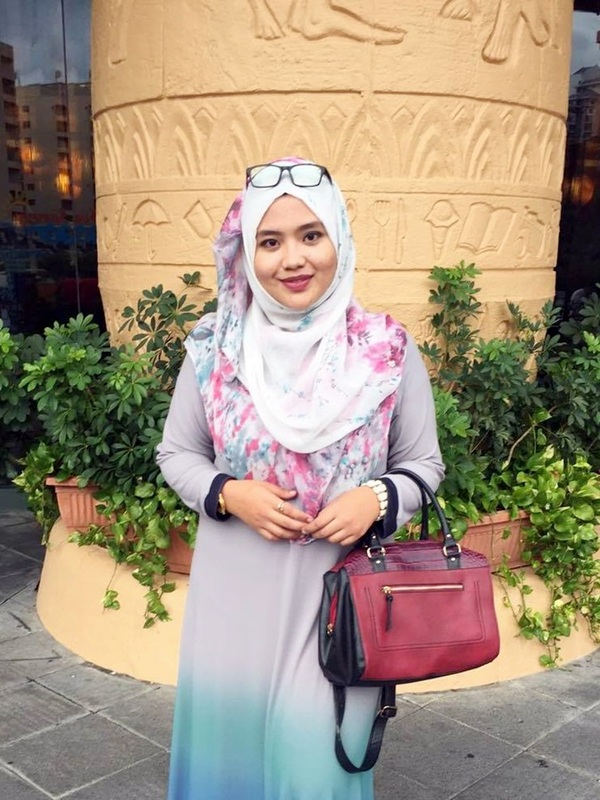 The top of this kurung is loose and flowy while the skirt is structured and mermaid in shape. more likely as to kicking and relax look. 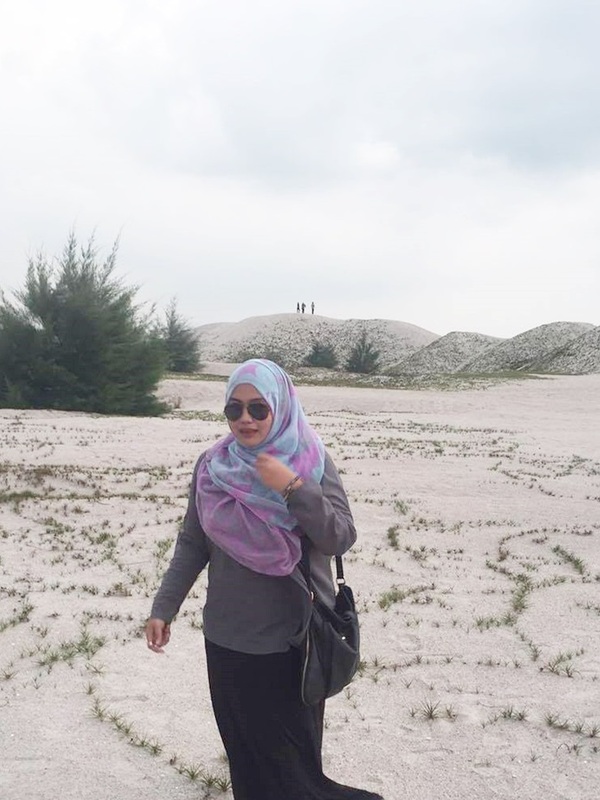 And I'm soo thrill that I was among the first person that able to wear Shawl from Minimalace. The color I choose is in Dark Purple. This colour goes well with the design of the skirt and kinda pop-out the look. Check this out! What a cute surprise I got from Faith in Face! The mask contains Sodium PCA, Sodium Hyaluronate and Camellia Oil. It able helping the skin feeling fresh, moisturized and supple after using it. By combining Ceramide 3, Broccoli Extract and Olive Oil. Th will helps to nourish dull skin back to health and radiance. It contain Salicylic Acid, Pappermint Extract, Witch Hazel Extract and Chestnut Shell Extract. This has a unique formula combinations that effectively and safely reduces sebum and tightens pores. The mask contains Copper Tripeptide, Rooibos Extract and Red Ginseng Extract. This functioning to recover and strengthen the firmness of skin. The mask comprises of Niacin Amide, Green Tea Extract and Citrus Unshiu. This gives your brighter and more flawless skin. Okay guys..Don't be shock! Eheee.. This me, wearing this masker before sleep. To pampering myself after so many works I've done daily. I totally love this masker. Definitely different compared to any other masker I have tried before maybe because of the hydrogel mask sheet. it feel soft and bouncy-kinda-feel on my skin. For my personal opinion I really love the idea of Faith in Face Hydrogel Mask. We need masker that able to delivered all ingredient to our skin with high percentage instate of loosing it to the packaging right. My best option is to place this masker in the refrigerator before used it and I will take it fresh from it directly apply to my skin. Ohhh! The cooling effect is amazing. You feel so fresh and nourish at the same time. This mask is divided into two different for upper face and lower face. I cover well according to face-shaped. For those who want to try something new for their masker collection you can check out Faith on Face Hydrogel Mask. You will satisfied with it. Enjoy your masker night guys!